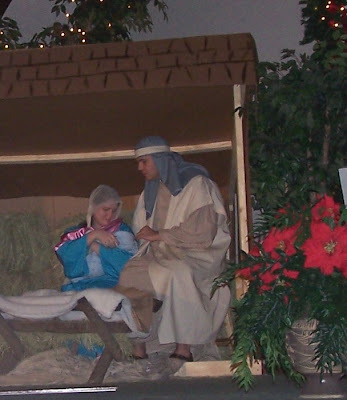 This past Sunday, Mark and I had the opportunity to play Mary and Joseph in our church's Christmas musical/drama celebration. I'm often reminded that very few people take the time to remember what Christmas is truly about. In today's commercialized society, it isn't easy. I often fall into the trap of thinking I have to buy the perfect gifts and get people exactly what they want. But is that really what I should be focusing on? I dare say no. I recently came across an article by Jim Elliff that does an excellent job of really pinpointing what Christmas is about. May we all take time to remember and celebrate the real reason for Christmas.